Sadia Ali (23) of Rhodes Street, Halifax, £80 fine, £30 victim surcharge, £85 costs for failing to report an accident. Martin Bartko (31) of Newstead Terrace, Halifax, disqualified from driving for six months, £140 fine, £30 victim surcharge, £85 costs for driving without insurance, driving when unauthorised to do so, speeding and failing to comply with a traffic sign. Sohail Ajmal (35) of Surrey Street, Halifax, given 6 points on his licence, £660 fine, £66 victim surcharge, £85 costs for failing to give information relating to the identification of a driver. Keith Chesters (50) of Stratton Road, Brighouse, given 3 points on his licence, £220 fine, £30 victim surcharge, £85 costs for speeding. 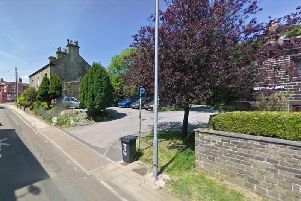 Ryan Crowther (27) of Withins Hill Croft, Illingworth, given 6 points on his licence, £660 fine, £66 victim surcharge, £85 costs for failing to give information relating to the identification of a driver. Michel Horvath (37) of Spring Hall Gardens, Halifax, given 3 points on his licence, £220 fine, £30 victim surcharge, £85 costs for speeding. Tibor Jazo (59) of Harrow Street, Halifax, given 6 points on his licence, £660 fine, £66 victim surcharge, £85 costs for failing to give information relating to the identification of a driver. Matthew Lyons (37) of Bradshaw Lane, Halifax, given 6 points on his licence, £230 fine, £30 victim surcharge, £85 costs for driving without due care and attention. James Redmond (22) of Highfield Drive, Luddenden Foot, given 5 points on his licence, £440 fine, £44 victim surcharge, £85 costs for speeding. Laura Tordoff (32) of Keighley Road, Illingworth, given 3 points on her licence, £76 fine, £30 victim surcharge, £85 costs for speeding. William Charles Sayle (57) of Westgate, Elland, given 8 points on his licence, £770 fine, £77 victim surcharge, £85 costs for driving without insurance and driving when unauthorised to do so. Frank Watene (40) of Denby Place, Sowerby Bridge, given 3 points on his licence, £220 fine, £30 victim surcharge, £85 costs for speeding. William John Wheatcroft (53) of Castle Gate, Cragg Vale, given 4 points on his licence, £369 fine, £36 victim surcharge, £85 costs for speeding. Geoff Crowther (45) of Parsonage Lane, Brighouse, given 3 points on his licence, £220 fine, £30 victim surcharge, £85 costs for speeding. Mandy Lisa Emmerson (37) of School Yard View, Boothtown, given 3 points on her licence, £157 fine, £30 victim surcharge, £85 costs for speeding. Alex Herak (20) of Queens Road, Halifax, given 8 points on his licence, £660 fine, £66 victim surcharge, £85 costs for driving without insurance and driving when unauthorised to do so. Casey Ingham (24) of Kershaw Crescent, Luddenden Foot, given 3 points on his licence, £220 fine, £30 victim surcharge, £85 costs for speeding.